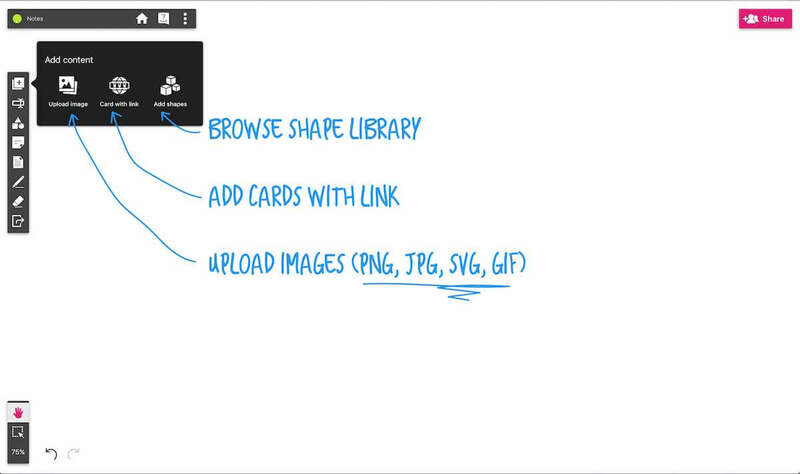 You can add advanced shapes on whiteboards from the shape library. Shape library has various shapes available to you: architecture diagram shapes, flowmap shapes, maps, design elements, wireframes, icons and much more. Select Shape library tool from additional tools. Browse, search shapes or choose from a category. 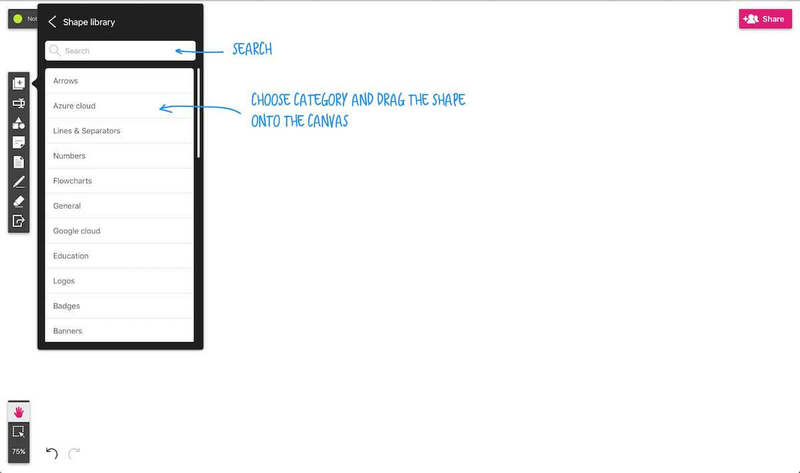 You can also search for shapes in each category to access needed items quicker. 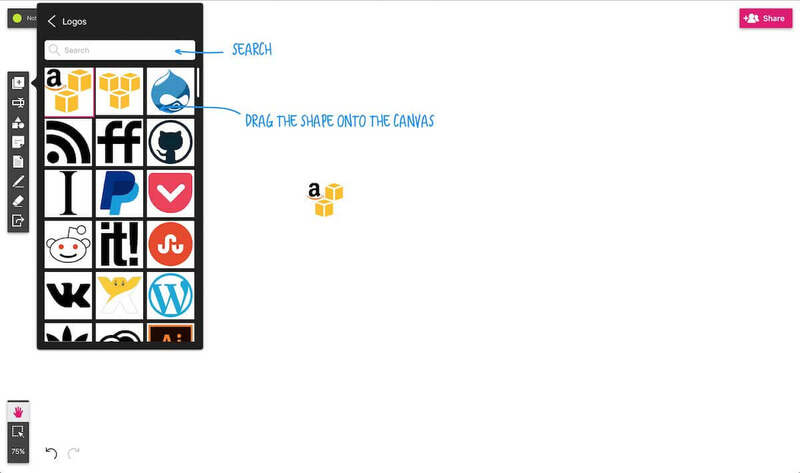 You can easily resize, move and even change the color anytime. Just select the shape you want to edit and access the tools. Advanced shape library is available to premium users only.